In today’s time of pollution and unhealthy lifestyle choice; keeping yourself safe and healthy against diseases is the biggest challenge. Your thinking, lifestyle, schedule, eating habits and everything you do affect your health. Then, why do most people fail in keeping up with a healthy lifestyle and habits? The reason is unawareness. Not everyone is aware of their usual habits, which are the possibilities of harming their body and leading to deadly diseases. Yes, you heard that right! There are possible infectious diseases that are transmitted from person to person and one of them is Tuberculosis (TB). It generally affects the lungs, but can also affect other parts of the body. So, it is necessary to know about Tuberculosis Symptoms. The most common symptoms are chronic cough with blood containing sputum, fever, night sweats and weight loss. 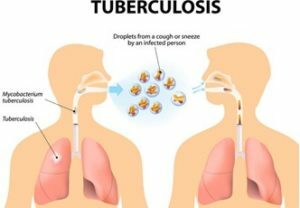 However, before going deep into the Tuberculosis symptoms, it is necessary to have an understanding of the disease and how it affects your body. In India Tuberculosis is known as The Silent Killer. Tuberculosis is a multisystemic infectious disease caused by Mycobacterium tuberculosis (or TB, TB germs), a rod-shaped bacterium. Active infection occurs more often in people with HIV/AIDS and in those who smoke. Diagnosis of active TB is based on chest X-rays, as well as microscopic examination and culture of body fluids. People who are usually at high risk of having this disease are included in household, workplace and social contacts of people with active TB. The treatment for TB requires the use of multiple antibiotics over a long period of time. According to studies, presently, one-quarter of the world’s population is thought to be infected with TB. New infections occur in about 1% of the population each year. In the year 2017, there were more than 10 million active TB cases which resulted in 1.6 million deaths. So, this makes it the number one cause of death from an infectious disease. Thus, for Tuberculosis prevention, it is necessary to know the signs & symptoms of Tuberculosis. Along with these, it is also significant to know its possible causes. When talking about the causes of TB, Mycobacterium tuberculosis is the main cause. It is a small, aerobic, non-motile bacillus. Though, these are the scientific terms which usually become difficult for people to understand and acknowledge. So, adding further details about explaining it will be the high lipid content of this pathogen accounts for many of its unique characteristics. It divides every 16 to 20 hours, which is an extremely slow rate compared with other bacteria, which usually divide in less than an hour. MTB can withstand weak disinfectants and survive in a dry state for weeks. In nature, the bacterium can only grow within the cells of a host organism, but M. tuberculosis can be cultured in the laboratory. Ignoring tuberculosis symptoms leads to complications and having no treatment can be fatal. Untreated active disease can affect your lungs and can also spread to other parts of your body through your bloodstream. 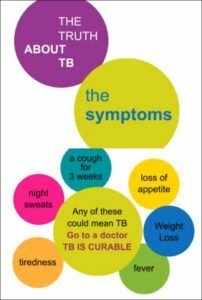 Are there different types of Tuberculosis (TB)? As per the scientific analysis, there are many types of TB, but commonly identified are either active or latent TB infection. Active TB is when the disease is actively producing symptoms and can be transmitted to other people. Latent TB infection is when the person has infected with MTB bacteria, but the bacteria are not producing symptoms. Usually, people with latent TB cannot transfer MTB bacteria to others unless the immune system fails. The failure causes reactivation that results in active TB so the person becomes contagious. Though TB is known to affect any part of the body, most commonly occurs in the lungs (known as pulmonary tuberculosis). Extrapulmonary TB occurs when tuberculosis develops outside of the lungs, although extrapulmonary Tb may coexist with Pulmonary TB. General signs & symptoms of Tuberculosis may include fever, chills, night sweats, loss of appetite, weight loss, and fatigue. In some cases, significant nail clubbing may also appear. TB can also affect other parts of the body, including your Kidneys, spine or brain. When TB occurs outside of your lungs, signs and symptoms vary according to the organs involved. For instance, Tuberculosis of the spine may give you back pain, and tuberculosis in your kidneys might cause blood in your urine. So, if you experience fever, unexplained weight loss, drenching night sweats, or a persistent cough, then it’s time to see your doctor. Though these Tuberculosis symptoms can also result from other medical problems, so your doctor would need to perform the required tests to determine the actual cost. What you need to know for Tuberculosis Prevention? In case you or any of your loved one is tested positive for latent TB infection, your doctor may advise you to take medications to reduce your risk of developing active TB. But, active TB is contagious for your health, especially, it has affected your lungs. So, if you can prevent your latent TB from becoming active, you won’t transmit TB to anyone. In case you are detected with active TB, then protect your friends and family by keeping your germs to yourself. Stay at home, ventilate your room, cover your mouth, and wear a mask. Complete your entire course of medication and also have the required vaccinations at the proper time. So, now that you have the complete information about TB it would be easier for you to take the proper steps to keep yourself and family protected from this deadly infectious disease. Enabling the steps that you need to include in your daily lifestyle will ensure that you live a life free from TB. Every breath counts, so stop TB now by having complete information and awareness.